The PRO Patriot Edition is an optional design for those fit into PRO line of shafts. It is a full time offering (not limited) available through any of our charter dealers. Designed for the golfer seeking feel in the handle section with the stability and control of a stiffer tip, the 2017 PRO Patriot Edition offers a legendary Fujikura profile guaranteed to promote straighter and more consistent shots. 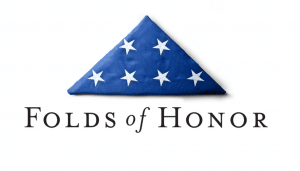 Note: Proceeds from the sale of both PRO Patriot Edition and ATMOS Tour Spec U.S. Open Limited Edition will benefit The Folds of Honor Foundation and be distributed to qualifying families in the form of scholarships. 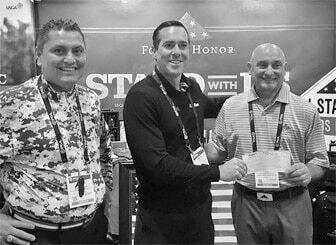 photo: At right, Fujikura Composites America President and COO, Dave Schnider, presents the annual dontation to The Folds of Honor representatives at 2017 PGA Show in Orlando.